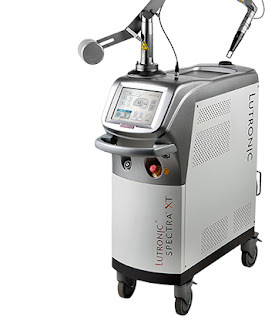 If you are in Korea looking for a simple treatment that can help boost your skin but doesn't affect your tourist activities by making your face turn into a tomato, Genesis Mode by Lutronic Spectra XT might be just what you need. With no downtime, this laser uses the high powered quas-long pulsed 1064 nm mode, the optimal wavelengths to promote collagen remodeling effects. Spectra XT is actually an extended platform for multiple types of laser treatments, an advanced equipment that exports to clinics all around the world. Genesis Laser induces thermal effects in the deeper dermis to increase the homogenization of collagen, therefore improving skin texture, as well as wrinkles and pores.